The UK’s Independent Commission on Aid Impact (ICAI) published another fascinating review of DFID’s work this month. It’s well worth a look, for their methods as much as their findings. It builds on an impressive few years work. ICAI have developed a sensitive approach to systematically assessing a wide range of programmes. And some practical tools others in the sector may be able to learn from. Their work is not perfect. But it’s the result of a lot of thoughtful investment and looks pretty good from the outside. ICAI’s assessment framework is short and simple, fitting on one page of paper. It can be applied to all DFID’s programmes around the world. How about that as a standard for management frameworks? Are the programme’s design and objectives responsive to intended beneficiary needs and to the context? Is robust programme management in place, ensuring the efficiency and effectiveness of the delivery chain? Are the results and impact of the programme likely to be long term and sustained? Are appropriate amendments made to the programme to take account of the lessons learnt? On the one hand, it emphasises robust programme management, efficiency and results. On the other it focuses on adapting to changes in the context, responding to beneficiaries, effects on women & girls, and learning. The framework lets DFID managers know exactly how they will be assessed. And it allows consistent judgements to be made across programmes. We all judge performance when we visit programmes, but seldom on this kind of consistent, transparent basis. ICAI use the framework to assess how well each programme “performs against ICAI’s criteria for effectiveness and value for money”. This allows a range of factors to be considered, listed in the 21 questions, above. They include aspects of the process that DFID managers should follow as well as the results they achieve. This all adds up to a practical and effective approach, as promoted on this site. We know from hard won experience that focusing only on impact or pre-determined plans is not. Not a hint of inappropriate randomised control trials! I’m OK with that. These reviews don’t aim to be evaluations. Evaluations play a crucial role in development work, in particular to inform future policy. But DFID has its own evaluation unit. And evaluations are expensive and a different kettle of fish to assessing performance, which can create conditions to drive high quality work today. This is a wonderful breath of fresh air, compared to focusing on the supply-side of whether pre-determined activities have been completed or objectives achieved. Specify DFID’s policy on equity and services for hard-to-reach populations. Develop a clear exit strategy and criteria for resuming direct financing to the Kenyan government. Help strengthen Kenyan health structures & systems. The importance of establishing a clear theory of change for each programme. The importance of local teams & difficulty in getting HR consistently right. How best to define & measure admin costs. The importance of beneficiary involvement. What is the right level of DFID oversight for the wide range of activities undertaken? The issue of maintaining institutional memory & learning lessons. 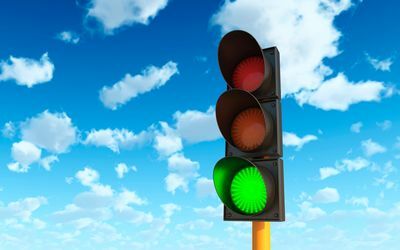 Each ICAI report summarises its findings using one of four traffic lights: green, green-amber, amber-red and red. The Kenya report gives the programmes under review a “green-amber”. These are inevitably controversial, but powerful ratings. I’m a fan. Mark Lowcock, DFID’s Permanent Secretary, says they are not the first thing he looks at. But they must surely command a great deal of senior management attention, as well as attention from the public in Britain (who foot the bill) and recipient countries (who are meant to gain from it). And that’s desperately needed: a practical way to focus senior management attention on the components of programme performance that matter most. Without that, there are no incentives to improve. And conversations about quality remain just that: words not action. Last year the British government confirmed that it wants ICAI to continue its work. It would be fascinating to understand more about what has really changed in DFID as a result of ICAI’s work – both for good and ill. DFID have mentioned that reviews take up a lot of staff time. Lessons from ICAI’s reviews may not be shared and followed up as widely as they might. Could anyone share any experience on this? And how about someone bringing together an overview of the whole approach? It would be a wonderful contribution to the urgent question we all face of how to assess & manage development programmes better. Finally, other major development agencies might want to to consider whether any of these lessons apply to their own work. I appreciate your valuable suggestion, especially about assessment framework.